AUSTIN, Texas, Sept. 19, 2012 /PRNewswire/ — CodeLathe, the leader in Personal Cloud software and services, today announced Tonido Cloud, a secure, private cloud storage and sync solution for medium businesses, managed service providers and enterprises. Tonido Cloud allows users to access, share, sync company files and documents from anywhere and any device. It connects to a variety of back-end storage systems (local disk, NAS/SAN, Amazon S3 and Openstack) and makes it available to users on their computers (PC, Mac and Linux) and mobile devices (iOS, Android, Blackberry and Windows 7.5 Phone). “Tonido Cloud is a result of multi man-year focused development optimized for end-user experience and enterprise grade security. It is extremely simple to use and can scale from tens to millions of users. Tonido Cloud mobile apps for iOS, Android, Blackberry and Windows 7.5 phone are already available in their respective marketplaces,” said Anis Abdul, CTO of CodeLathe. Currently, Tonido Cloud is undergoing trials in more than 100 enterprises across media, insurance, realty, wealth management and telecom verticals. It addresses a critical need in sectors where security of customer data is of utmost importance and consumer data storage is regulated by government privacy laws. Even before the public launch, quite a few organizations are already using Tonido Cloud in their day-to-day operations. “More than ever, enterprises need a secure, scalable, easy-to-use solution that delivers anywhere, any-device access to corporate data. Tonido Cloud enables this objective at 1/4th cost of Public Cloud storage/sync services like Dropbox Teams, while providing complete control and visibility of corporate data. 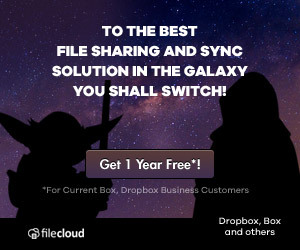 Tonido Cloud is a no-brainer decision for CIOs and Corporate IT groups for Enterprise file sharing and collaboration,” said Madhan Kanagavel, CEO of CodeLathe. Tonido Cloud is available monthly for $2.50 per user per month, or $24.99 per user per year (a 17% savings over the monthly price) as a pre-paid, annual subscription. Enterprises can purchase the licenses directly. Tonido Cloud purchases from network of Tonido Cloud partners and system integrators will be available shortly. CodeLathe, founded in 2008, a pioneer in Personal Cloud products and services, offers turnkey Personal/Private Cloud storage and sync solutions to leading mobile carriers, enterprises, network and external storage device makers to create value-added products and services. Over half a million devices run Tonido (http://www.tonido.com) Personal Cloud software and a quarter million users use it daily. 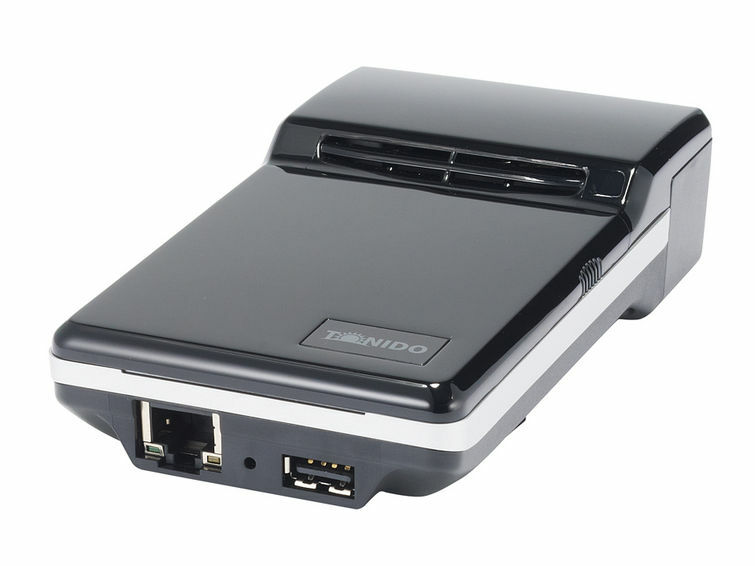 CodeLathe is also a maker of the popular portable network attached storage device, TonidoPlug (http://www.tonidoplug.com). Tonido™ and TonidoPlug™ are registered trademarks of CodeLathe LLC. *Dropbox, Google Drive, Amazon S3 trademarks are the property of their respective owners. Tonido is featured in August issue of Linux Magazine. Check out http://www.linux-magazine.com/issues/2009/105/cloud_9. Thanks Dmitri Popov for your balanced and thorough review. In the traditional product/service world, monetization is quite straightforward- a company makes a product/provides a service and charges money for the product/service but in the Web 2.0 world, monetization usually takes back seat. The general philosophy in this Web 2.0 world is “Don’t worry about monetization; find a way to bring traffic and monetization will follow later”. The analogy for this thought process is – let us bring customers into our store first and soon we figure a way to sell something to the customers coming to our store. This operating philosophy had worked very well for big companies like Google, MySpace, Facebook and many more. The multimillion dollar question is: will it work for everyone? Will this approach of not worrying about monetization work for other small companies? This blog tries to explore what it takes to make $1M in revenue/year through various models. For simplicity, we can divide the business into B2B and B2C. If you sell a final product/service directly to a customer, then we will consider it B2C for the purpose of this blog post. Your customers can be either individuals or companies. And if sell end products/service directly, we will consider it as B2C for this Blog. We can have three basic monetization models in B2C – onetime charge, subscription and ad based revenue. (Companies innovate and find new ways of monetization that combines these models). We should acknowledge that in Web 2.0 world, companies that look and feel like a B2C company can turn toward B2B for monetization overnight. For instance, Facebook, which is a true B2C company, has become a platform provider and has plans to charge for application developers to certify their applications. This makes them a B2B company. On the other hand, Myspace.com which is similar to Facebook, still remains B2C and is making investments to sell songs to customers. Let us do a simple math to understand what it takes to reach $1 Million in revenue per year through various business models. Let us assume, we will charge $20 for a basic download of the software like MS Word or signup for service such as Twitter. Number of users needed to get $1M will be 50K users. Let us assume that 5% of the customers who download your product will like the product and will be ready to pay. If we think 5% is realistic number, we need 1M downloads per year or ~90K downloads per month to get $1M per year. Not all visitors who come to your site download. If you want to achieve 90K downloads per month, you need to generate much more traffic than 90K. If we assume ~10% of visitors come to a site download your product for testing, then you need ~1M visitors per month. If you would like to increase your revenue you have four levers 1) number of visitors coming to your site 2) % of visitors who download 3) % users who are willing to pay and 4) price. Of these four, relatively easier levers to pull are increasing visitors to your site and price charged for your product. Assuming other things remain unchanged, to increase your revenue by 50%, you can drive traffic to your side by 50% or you can increase price by 50% or upsell some more software or service to existing user. The major difference between onetime and subscription model is that price is recurring instead of onetime fee (duh?). Assuming that people are more likely to pay one time than to a subscription model, conversion rate from download to paying will be 1% compared to 5% conversion rate in case of onetime pricing model. By making the above assumptions, by charging $10 per month, you will need 830K downloads. For simplicity, let us assume that % of visitor who will download will be independent of pricing model. You will need 16.7M visitors per year or 1.4M visits per month. where Price per click = Gross Merchant Value that merchants got from the traffic sent by ad * Merchant’s willingness to spend in marketing. Total Gross Merchant Value (GMV) that merchants (such as eBay/Amazon) sold to the customers those clicked on ads in your site decides how much they are willing to pay for in ad revenue. If the visitors that you sent to eBay didn’t buy $10M worth of items from eBay, then you become very expensive source of marketing for eBay to justify $1M ad spend on your website. If you were to generate $1 Million in revenue from advertisement, you must provide at least $10M in GMV. Lets us assume 2% of users visiting your website click on an ad. To generate 1,000,000 referrals, you need a traffic of 1,000,000/(.02)=200,000,000 per year, which is close to 1.8 million visits per month. In the above discussion we assumed each converted customer buys $100 worth of items. If items sold are T-Shirts or something smaller in value (assume $10), then visits needed per month increased from 1.8M increases to 18M. If we assume users will visit 10 (twice a week) times a month then number of customers needed to reach 1.8M visits is 180K. 1.8M users if you were to generate 18M visits. These aren’t the only business models, companies use combinations of these models applied in variety of different ways. Apart from combinations of these models, we can also observe companies use a barter method to get something back from customers that can be monetized. I recently compared the youtube user demographics with facebook user demographics (By age distribution). 35+ age category constitutes 42% of youtube users. At the same time, 35+ age category constitutes only 19% of facebook users. It seems like youtube attracts older crowd compared to facebook. If you keep the assumption that age 35+ group has more disposable income than the younger gen, companies are better off spending thier Ad dollars in youtube rather than facebook. It raises the question why age 35+ crowd is not interested in social networking sites as the younger crowd? Is it because they view social networking sites are for young people? or is it because the older crowd doesn’t have time and they are more task oriented? Is there an opportunity for building social networking sites strictly for age 35+ and above. I am thinking loudly. Let me know your thoughts. Women more frequently update thier online profile than men. According to the market survey conducted by Youth Trends, It seems 82% women updated their online profile compared to 65% men. The survey was conducted among 1239 full-time 4-year college students ages 18-24. My hypothesis is that women are concerned more about their image, Both real and virtual. Is that true? Also, women uploaded photos more than men (46% vs 35%). 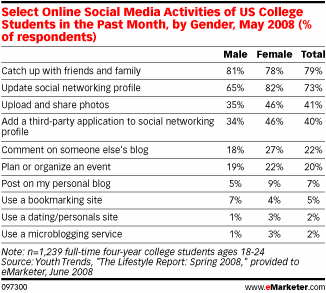 One more interesting aspect is that dating/personals sites don’t have much following among college students. I think that data is self explanatory :). I guess photo sharing apps like photobucket and flickr need to concentrate more on women .